October 2015 | MMA Fighting Events Videos Techniques UFC Fight Picks and News. UFC 192 is going down later tonight and this one is going to be interesting. Daniel Cormier has a lot to prove! Sure, he’s the light heavyweight UFC Champion, but, he didn’t beat the champ to become the champ. Daniel Cormier became champion after the belt was stripped from Jon Jones for his out of the octagon legal issues. He did beat Anthony “Rumble” Johnson to earn the title that was up for grabs, but most MMA fans still see Cormier as only the second best in the division. 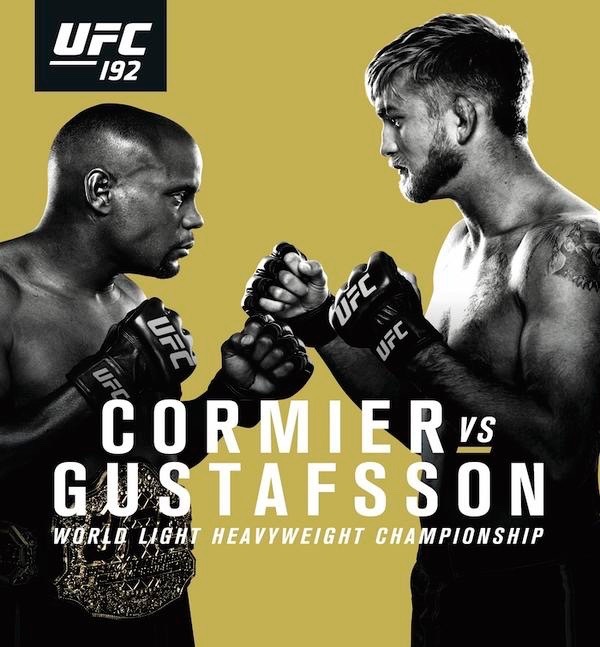 Alexander Gustafsson also has a lot to prove, he lost his last fight, but the UFC is still giving him this opportunity. Let’s take a closer look at these fighters and then I’ll make my fight pick for UFC 192: Daniel Cormier vs Alexander Gustaffson. Daniel Cormier is coming into to his first UFC title defense with an overall record of 16-1. That one loss was to the best pound for pound fighter in the UFC, Jon Jones. Cormier is out to prove that he deserves the title and that he is one of the best overall fighters in the UFC. Daniel Cormier is arguably the best wrestler in the UFC. His striking is constantly improving and his wins against top level guys is proof of his ability to step up to challenges. Cormier is a grinder and is constantly on the attack. His gas tank and grind overwhelms most of his opponents. Will he be able to overwhelm Alexander Gustafsson? Alexander Gustafson is getting another chance at becoming the UFC light heavyweight champion. He comes into this fight with an overall record of 16-3 and has finished 13 of those 16 wins (10 via KO/TKO and 3 submissions). His first title shot in which he almost beat Jon Jones put him on the map! Gustafsson has excellent striking and his length gives opponents trouble. Cormier had trouble with the striking ability and length of Jon Jones, will Gustafsson also be trouble? Look for Daniel Cormier to come into this fight with a better game plan that what he had versus Jon Jones. Cormier gained valuable experience when he fought Jon Jones and that will carry him through this fight. The early rounds might be close, but Cormier will begin to wear Gustafsson down and take him into deep waters. Gustafsson has done really well agains mid level contenders, but has faltered when the heat is turned up and he’s facing tougher competition. I see Cormier winning this fight in the later rounds by ground and pound or by a unanimous decision. 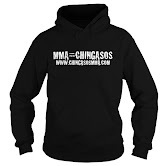 Chingasos MMA covering MMA Events and Gyms in Los Angeles as well as the UFC. Powered by Blogger.